Hello Friends! Thanks for being patient with us last week while Blogger and I had a heart to heart. This week he is on his best behavior so it seems to have worked! I am so excited to share the projects submitted this week because they are all wonderful and each one really has a character all it's own. Thanks so much to all the fantastic ladies who took the time to email me and tell me a little about what they've been up to! I wish I had the time to type out more about each piece but summarizing dozens of emails is a tall order... so please stop by the blogs that are linked (click on each ladies name in this post to be redirected if they have a blog) and learn a little more about the process and people behind these wonderful transformations! Erin took this hand-me-down coffee table (which I think might be an identical twin to one I did last summer!) and made it feel positively beachy! Meghan's family has a sweet tradition of bringing along homemade items for a family auction at their family reunion. After a little hardwork her table was most definitely the belle of the ball! Becky has been trying to convince her hubby that their knotty pine bedroom furniture is not as current as he thinks... and I am sure that she easily won him over after this makeover! I love the fresh green paint Lenore used on this lovely old chair! Kristine found this little gem in the gutter, and not only did she give it a fresh new coat of paint, but she customized the knobs to match the old map she decoupaged on the surface. If I was ever tempted to pick up a black can of paint this might be one of those moments!! Shaunna did a fantastic job taking this dark old table and giving it a beachy new look by liming it! These little tables look so fresh and pretty after Sofia gave them a new coat of paint! The new knobs add a perfect hint of glam. 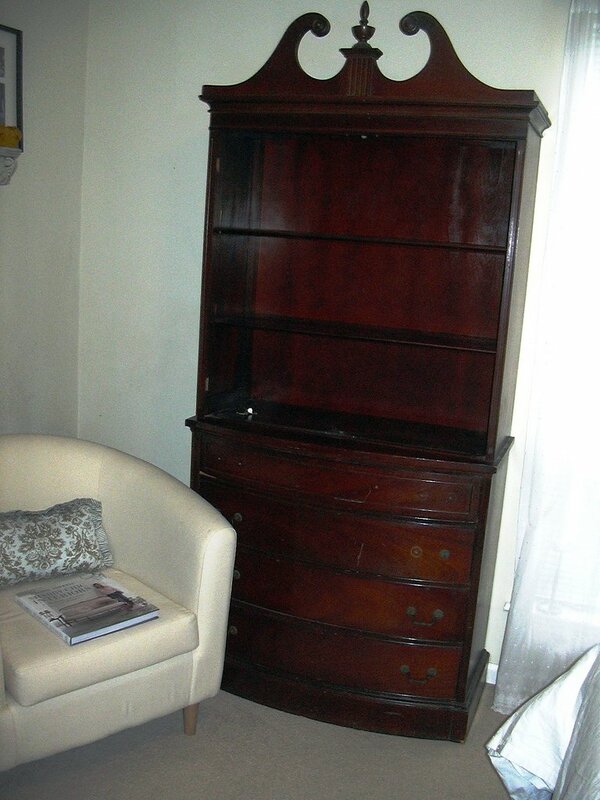 Kathleen and her furniture super powers never cease to amaze. And this one doesn't disappoint... plus we love her model. Monique did a great job taking this mismatched dining set and making it feel complete. Love the floors as well Monique!!! The next two transformations are courtesy of Lesa and her imaginative mind. She turned her $10 find into the cutest little chair with a pleated skirt. Her fireplace makeovere is pure genius! She took a cheapo tub of drywall spackle, a stencil, some of her favorite paint and gave her builder basic fireplace an old-world feel. 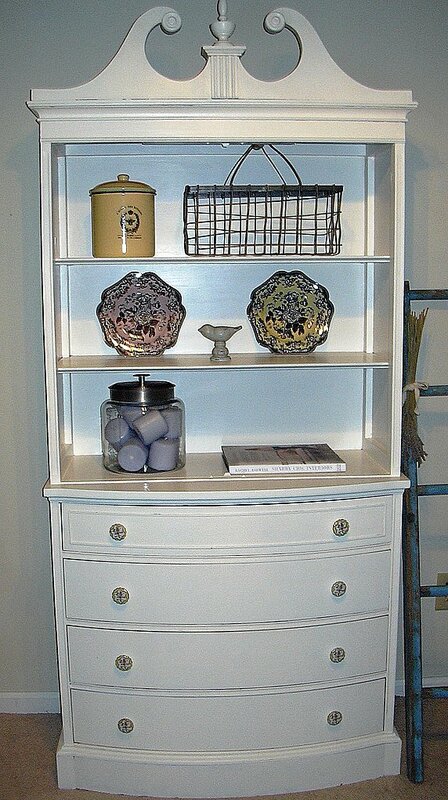 Anne did a wonderful job aging and glazing this old dresser! The details really pop now. Cristy has a love of toile and she did an amazing job hand painting this salvaged table. What have you been up to? Don't be shy!